But, research has since emerged that shows that a combination of exclusive breastfeeding and the use of antiretroviral treatment can significantly reduce the risk of transmitting HIV to babies through breastfeeding. A visit to the Heart to Heart Centre (H2H) of the Badagry General Hospital, Lagos State by The Journalists’ Alliance for the Prevention of Mother-to-Child Transmission of HIV in Nigeria (JAPiN) shows why mothers living with HIV are denying their babies breastfeeding. At H2H, some mothers that were at the centre for post-natal care spoke to INDEPENDENT said that they were not breastfeeding their babies because of fear infecting them with HIV. At the centre, Turai Hassan (not real names) told INDEPENDENT; “The first day I was told of my HIV status, I almost died. Then, I was pregnant of a baby boy. But, I lost him even the next pregnancy which was twins. They were HIV positive because I refused to take my drugs. At a point, I ran away from home for three days due to fear. I thought I was going to die whether I take the drugs or not. “I later started taking my drugs, so my baby from my fourth pregnancy is negative. I was so overjoyed and wanted to do exclusive breastfeeding for the baby. This is because health workers counselled us during antenatal to breastfeed for six months to boost our babies’ health. Similarly, Alice Nnodimele (not real names) narrated that she denied her baby breast milk because she was afraid that the baby will get infected with HIV. Nnodimele said: “This is not my first baby, I lost the first one. He was HIV positive and died after struggling with the fatal infection. It was during the antenatal that it was discovered that I was not taking ARV drugs. She continued; “The baby I have now is negative and he is the second one. I didn’t give him breast milk. When he was one month and three days I gave him pap. The story of Funmilayo Seun is not different from that of Hassan and Nnodimele. She said; “I already had two children – girls, both are HIV negative. This is my fourth baby. I learnt about my HIV status before the delivery of my third baby. It was a stillbirth. My husband is also HIV positive. Seun, Hassan and Nnodimele represent hundreds of Nigerian mothers living with HIV who deny their babies of breastmilk due to myths that breastfeeding transmits the infection to babies, despite the use of antiretroviral treatment. To change the misconception, experts say that there is need for health care centres who regularly attend to People Living With HIV( PLWH) to create more awareness and education for mothers to comply with WHO’s recommendations. According to WHO recommendations, breastfeeding mothers who are HIV positive should Exclusively Breastfeed, (EBF) for the first six months and should continue breastfeeding especially if the mother has access to anti-retroviral therapy. Exclusive Breastfeeding (EB) helps in reducing child mortality by 13 per cent. Sadly, Nigeria loses about 2,300 under-five year olds every day, and over two-thirds of these deaths are often associated with inappropriate feeding and poor practices. According to the National Demographic Health Survey, 2013, the prevalence of EBF in children below the age of six months was only 17 per cent which means that at least 5.4 million Nigerian children each year do not get the benefits of breastfeeding. However, imagining poor breastfeeding rate is one thing, but beholding the number of deaths which is put at 103,742 child deaths each year) caused by low breastfeeding rate is another thing. This is in addition to the economic cost which is estimated to the tune of $21 billion per year, equivalent of 4.1 per cent of Gross National Income (GNI) of Nigeria. The poor breastfeeding habit is largely becoming a public health emergency. Experts strongly believe that with the right level of ambition, the right policies and investment, countries can fully realise the potential gains from breastfeeding. 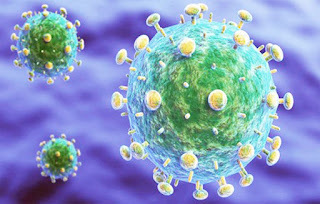 Commenting, Dr Oliver Ezechi, Deputy Director of Research, Nigerian Institute of Medical Research (NIMR) said, “When mothers who are HIV positive take the ARV drugs, they cannot transmit the virus to their babies. The rate of HIV transmission to babies is close to zero if their mothers are on ARV. Also, Professor Chinyere Ezeaka, a Consultant Paediatrician and Head, Neonatology unit at the Lagos State University Teaching Hospital (LASUTH) and College of Medicine, University of Lagos as well as National president, Nigerian Society of Neonatal Medicine, said, “The child who is not on breast milk is likely to have 14 times more diarrhoea, vomiting and 10 times more bronchopneumonia. “These children are dying more from diseases that can be prevented rather than from the HIV. Many mothers use contaminated water and feeding bottles that might be infected by flies while giving formula milk,” Prof Ezeaka further observed. “Now that the country is moving with the global standard from WHO, HIV mothers now do exclusive breastfeeding and on no account should these mothers mix exclusive breastfeeding with formula feed,” she warned. Prof. Ezeaka said, following the current guideline, the HIV positive mother breastfeeds for one year, adding that, by that time, the child has gotten all the immunity and protection from the breast milk and has established complementary feeds. Corroborating Professor Ezeaka, Dr Clifford Lo, Associate Professor at Boston University said “The issue with HIV has changed quite a bit because now we have treatments for mothers who are HIV positive. If they are on treatment, there is no problem with them continuing to breastfeed. If they are untreated then, it’s a major problem.